CAPE CANAVERAL, Fla., Sept. 20, 2012 (GLOBE NEWSWIRE) — Video Display Corporation (Nasdaq:VIDE), a worldwide leader in providing display solutions for Defense, Simulation and Training and commercial applications, is pleased to announce that its Simulation and Training Division, VDC Display Systems (VDC DS), has been awarded a contract and received the Purchase Order from Lockheed Martin Aeronautics for multiple Display System Upgrades. VDC DS will deliver and install new Display Systems for existing F-35 engineering simulators. The Display Systems to be provided include Screens, Mirrors, Sony High Resolution Projectors, Optical Edge Blending, an Auto Calibration System and Structures. The Display System Upgrades will commence installation in the fourth quarter 2012. 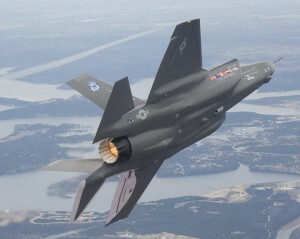 Lockheed Martin Aeronautics is prime integrator for the F-35 Lightning II Joint Strike Fighter. The F-35 Lightning II is a 5th Generation fighter, combining advanced stealth with fighter speed and agility, fully fused sensor information, network-enabled operations and advanced sustainment. Video Display Corporation designs, develops and manufactures unique solutions for display requirements for military, medical and industrial use with emphasis on high end training and simulation applications. Its product offerings include rugged AMLCD and CRT displays as well as complete projection systems. Video Display Corporation operates eight display design and manufacturing plants plus additional sales facilities throughout the United States and Europe.